Made especially for us, these superb soft fluffy fleece footed sleepers with hoods are great new addition to our range. They are made from a lovely soft fleece, they have a zip down the front and have matching elasticated cuffs. With high quality zips and lovely soft washable and durable fleece you can hang about the house or go to bed lovely and cosy and warm. Available in 4 sizes, suggested sizes and heights below. 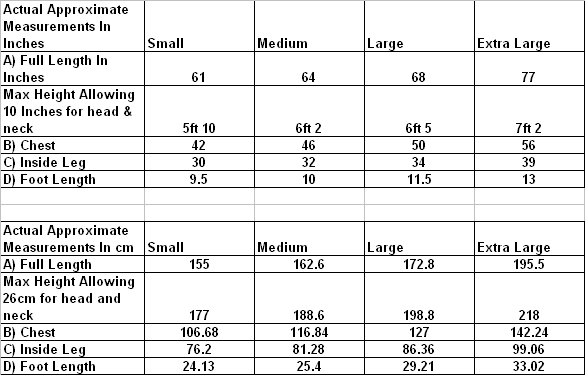 See the full size chart to decide on the right size for you. We would say go off the height and check the chest is ok for you. They are designed to be nice and loose and cosy fitting. It is pink, warm, soft, cute and comfy. What is? Pink Adult Onesie All In One Footed Sleeper of course! I have used it about a month and it has kept me warm and happy. Very good quality. Your cuddlz pink fleece footed pajamas are wonderful, and really bring out the baby in me! These are wonderful, even though its still summer and warm i just had to try them, plenty off room for overnight nappies, great fit and i love the hood. Will prob be buying more, looking forward to the prints.